Welcome to the July edition of our Member News! ABFE, Hispanics in Philanthropy and Marguerite Casey Foundation are excited to announce the call for nominations for this year's Patiño Moore Legacy Award. This Award, launched in 2011 , recognizes those organizations whose work fosters collaboration between Latino and African-American communities to effect positive, sustainable change for all of America’s families. The Award is rare, if not unique, in U.S. philanthropy because it specifically recognizes partnership and progress in Black and Brown communities, as well as the idea of movement building that centers on people organizing to find solutions, especially in the face of poverty. Last year's recipient, Repairers of the Breach led by Rev. 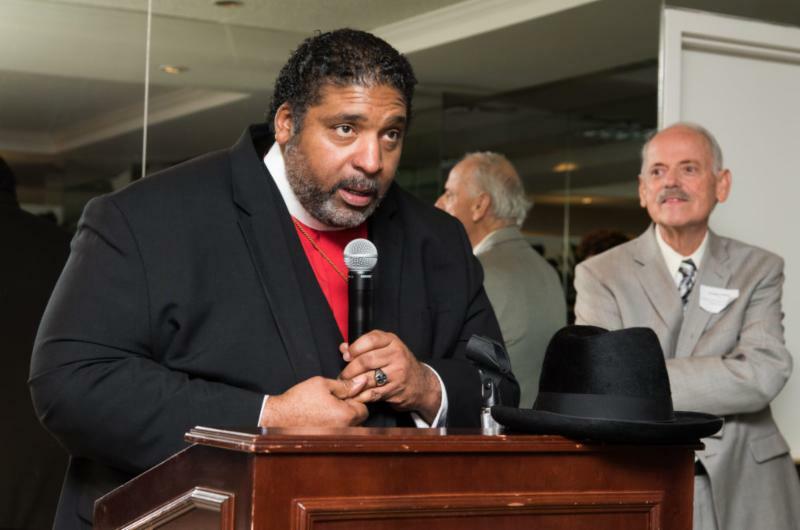 William Barber II, truly embodies [and continues to] the spirit of the Award with their bold leadership and collaboration in bringing African Americans and Latinos together for a shared vision of justice and social change. Past Award recipients —who also demonstrated a strong commitment to Black and Brown communities —include: Puerto Rico Community Foundation, Dolores Huerta, Marian Wright Edelman, Community Coalition for Substance Abuse Prevention and Treatment, Causa Justa :: Just Cause, National Domestic Workers Alliance, South by Southwest Experiment and Puentes New Orleans, Inc.
For more information on this year's call for nominations, check out our 'Member Notes' section below. Pictured above: The 2017 Patiño Moore Legacy Award recipient, Dr. William J. Barber, II (Repairers of the Breach). Marguerite Casey Foundation launched the Patiño Moore Legacy Award in 2011 in partnership with the Association of Black Foundation Executives (ABFE) and Hispanics in Philanthropy (HIP) . The Patiño Moore Legacy Award recognizes those organizations whose work fosters collaboration between Latino and African-American communities to effect positive, sustainable change for all of America’s families. The award is named after Dr. Douglas Patiño and Wenda Weekes Moore, independent leaders in the fields of higher education and public service, for their ongoing legacy of working together to improve relations between Black and Brown communities. The winner(s) of the Patiño Moore Legacy Award will receive a combined maximum of $150,000 over 12 months to support their work to unite Black and Brown communities in a shared vision of economic and social well-being. The selection committee is especially interested in achievements that have the potential to inspire and raise the capacity of other organizations and individuals to build a family-led movement across cultures, races, ethnicities, regions and issues. Only current members of ABFE and HIP are eligible to submit nominations . Nominators should be exceptionally familiar with the nominee and able to clearly articulate the impact and significance of their work. Nominations (click here to download nomination form) must be submitted electronically to patino-mooreaward@caseygrants.org by 5:00pm (PDT) Monday, August 20, 2018. Nominations must be sent directly by the primary nominator or they will not be considered for selection. While these are trying times, philanthropy-serving organizations (PSOs) possess a unique opportunity. Given the leadership of several funders, PSOs are receiving substantial support to help their members adopt a racial equity frame in their work. Activities range from organizing ongoing learning and training series for their foundation members to regional multi-sector efforts that extend beyond philanthropy on racial equity. It seems PSOs, by leveraging the power of their members, are vital to the field’s most current emphasis—a dvancing racial equity . But as the saying goes, “there is no rest for the weary”; and I want to raise the bar a bit higher! Earlier this year, ABFE had the opportunity to provide racial equity training to the board and staff of a PSO in the D.C. area. 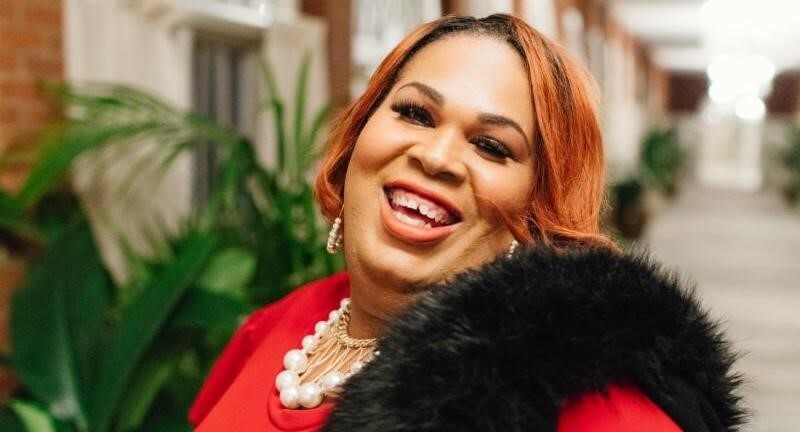 Several weeks after the engagement, I received a call from the organization and learned that the training inspired them to put some of their operating funds into a local Black-owned bank. I was thrilled to hear this! When I shared this story at another meeting, I learned that a PSO in the pacific northwest—who is very focused on equity—also had made a deposit into a Black bank. The leadership of these two groups illustrate that PSOs can do so much more than convene funders, host trainings and provide technical assistance for their members . It suggests that we can also move money, just like foundations do, for equity. Just imagine if all the PSOs in an area, like Washington D.C (that is headquarters for approx. 10 PSOs), decided to make investments into minority-owned banks. These banks are critically important as they tend to be more accessible to lower-wealth communities and specifically cater to populations who are detached from the conve ntional banking system. For example, the disproportionately high number of African-Americans who are disconnected from mainstream financial services is a target market for Black-owned banks. Many in our community are “unbanked” with no checking or savings accounts, and often rely heavily on check cashers, pawn shops, payday lenders or other high-cost, “predatory” options. Black-owned banks are present in neighborhoods that are void of financial institutions and can provide access to safe, accessible and affordable bank accounts, credit cards, mortgages and business loans. What if, just like our foundation members, we decided to move our own “place-based” initiative? We can model this for our foundation members. Every PSO can do this; every regional association should invest some of their funds in a minority-owned bank in their region; and, national associations should do this as well. To get started, check out the National Bankers Association (NBA), a trade group for minority and women-owned banks in the country, to find an institution near you. Get familiar with the NBA and learn more on how they support communities of color. With a few champion PSOs leading the way, let’s do more than training and convening…let’s move money for racial equity. ABFE elected its Board officers for 2018 - 2019 —during July's Board meeting —with Kenneth Jones II (Annie E. Casey Foundation) who will remain Board Chair; Karen McNeil-Miller (The Colorado Health Foundation) was elected Vice Chair; Cedric Brown (Kapor Center) was elected Secretary; and Trista Harris (Minnesota Council on Foundations) will remain Treasurer. ABFE would like to give a special thanks to all who participated in our conference survey! Your valuable feedback will help make next year's conference more informative and impactful! Congratulations to Rachel Knox , program officer of thriving arts and culture at Hyde Family Foundation, who is the winner of our conference survey contest. Rachel received a $25 gift certificate from Amazon.com! 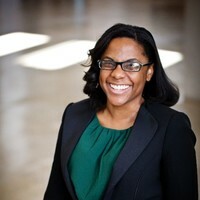 Pictured above: Rachel Knox, program officer of thriving arts and culture at Hyde Family Foundation, based in Memphis, TN. 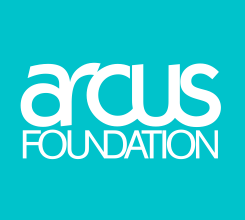 This month's featured ABFE Philanthropic Institutional Member is the Arcus Foundation. Founded in 2000 by Jon Stryker, the Arcus Foundation strives to achieve social justice inclusive of sexual orientation, gender identity, and race; and to ensure the conservation of, and respect for, the world’s great apes. For more information on the Arcus Foundation, visit arcusfoundation.org . Read the latest from the Arcus Foundation here . Warren Buffett donated $3.4 billion in Berkshire Hathaway Inc. stock Monday to five foundations, a record amount for him and the annual follow-up to his 2006 foundations pledge and his plan to donate nearly all his wealth to charity. Receiving shares that Buffett owned in Berkshire were the Bill & Melinda Gates Foundation ( an ABFE Philanthropic Institutional Member); the Sherwood Foundation, run by his daughter, Susan; the Howard G. Buffett Foundation, run by his son Howard; and the NoVo Foundation, run by his son Peter and Peter’s wife, Jennifer; and the Susan Thompson Buffett Foundation, named after Buffett’s late wife. 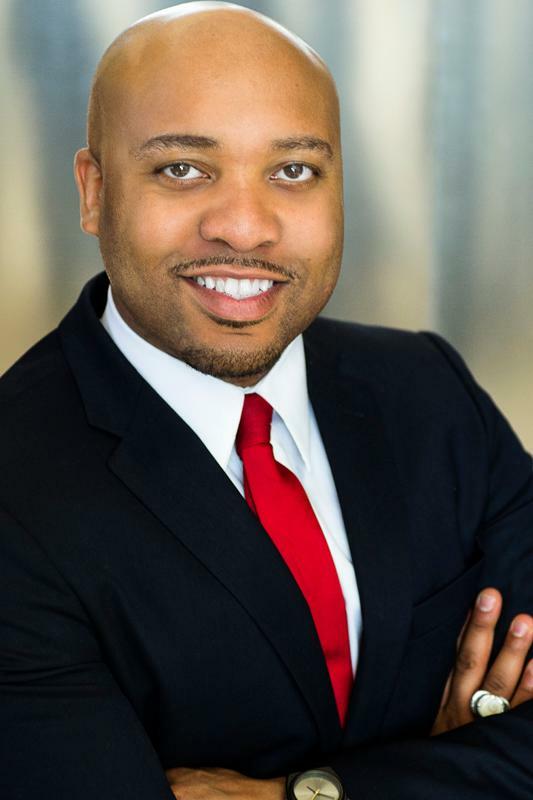 JPMorgan Chase & Co. has announced a $4 million investment to create an Entrepreneurs of Color Fund that will support minority entrepreneurs on Chicago's South and West sides, while Fifth Third Bank will invest an additional $2.5 million in the fund, pending regulatory approval. Building on the success of the Entrepreneurs of Color Fund model in Detroit, where fifty-two minority-owned businesses have created or preserved nearly seven hundred and fifty jobs since 2015, the investment will provide minority entrepreneurs in Chicago with critical access to capital, education, and other resources. As part of JPMorgan Chase's $40 million investment in creating economic opportunity in Chicago, the firm will provide $3 million to launch the fund with community partners Accion Chicago and the Local Initiatives Support Corporation, and $1 million to continue business mentoring programs at the University of Chicago and Northwestern University that are part of Ascend 2020, a national network of university-led programs for minority entrepreneurs. More advisers and their high-net-worth clients are discussing philanthropy these days, but clients are less motivated by the tax benefits of giving than advisers believe, according to a study by U.S. Trust. The survey found that a higher proportion of advisers (80%) ask their clients about philanthropy today than in 2013 (71%), when the survey was last conducted. It found that the vast majority of advisers (94%) discuss philanthropy with some of their clients, including 44% who discuss it with a majority of their clients. "Advisers correctly gauge clients' top motivations for giving — having a passion for a cause, wanting to impact their community and the desire to give back — but they misperceive the importance of reducing taxes and enhancing the family name or business as motivations," U.S. Trust said in a release about its Study of the Philanthropic Conversation. The Children and Family Fellowship is the Casey Foundation’s signature program to develop the potential of leaders in nonprofit, philanthropic and public organizations working to improve outcomes for children and families. The Fellowship explicitly strives to increase the pool of diverse, visionary leaders with the confidence and competence to lead and sustain major system reforms and community change initiatives. The 21-month Fellowship program brings together leaders from varied professional backgrounds, geographic regions and racial and ethnic groups. This diverse group of Fellows becomes a powerful learning community that serves as both catalyst and support throughout this intensive experience. The philanthropic community in the Greater Washington region – and across the country – is beginning to understand the far-reaching effects that structural racism has on the populations and issues they care most about. In 2016, following the death of Freddie Gray in neighboring Baltimore, more than 80 funders participated in WRAG’s Putting Racism on the Table learning series. Following the series, nearly a third of attendees reported seeking additional learning and training opportunities. 18% reported engaging grantees in conversations about racial equity. 16% changed their grantmaking priorities and another 16% changed their internal polices and/or practices.